Code 39 is the most popular symbology in the non retail world and is used extensively in manufacturing, military, and health applications. 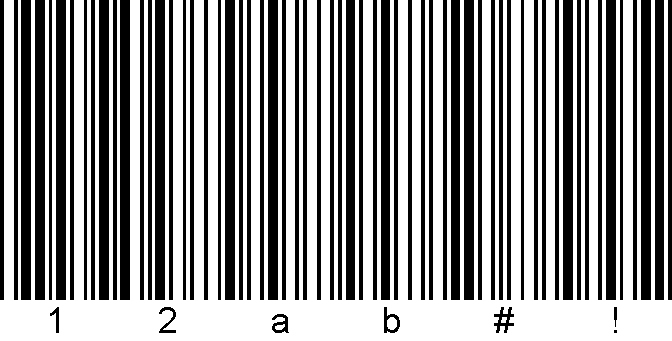 Each Code 39 bar code is framed by a start/stop character represented by an asterisk (*). The Asterisk is reserved for this purpose and may not be used in the body of a message. 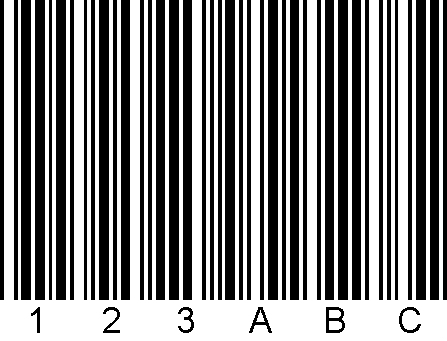 B-Coder automatically adds the start and stop character to each bar code therefore you should not include them as part of your bar code message. If you select the NORMAL version of CODE 39 and your bar code text contains lower case characters, B-Coder will convert them to upper case. If your bar code message contains any invalid characters, B-Coder will prompt you with a warning message (if the Enable Invalid Warning Messages option is selected in the Preferences menu). Code 39 optionally allows for a (modulo 43) check character in cases where data security is important. The health care industry has adopted the use of this check character for health care applications.